With just a day left before teams must trim their rosters to 53 players, multiple squads made major moves today. None were bigger than the New York Jets trading former Pro Bowl defensive lineman Sheldon Richardson to the Seattle Seahawks in exchange for wide receiver Jermaine Kearse and the Seahawks’ 2018 second round draft pick. Adding Richardson is a monster move for the Seahawks, who will add Richardson at defensive tackle next to last year’s second round pick Jarran Reed and sandwiched between Cliff Avril and Michael Bennett. Richardson wore out his welcome in New York and played like a guy that was heading for the door last season. He recorded 62 tackles, 1.5 sacks, one forced fumble, two fumble recoveries and two passes defended in 15 games. If Richardson gets rejuvinated, and he should, the Seahawks will add a guy capable of 70 tackles and eight or more sacks to the interior of their defensive line. Richardson will still be making the same dough with Seattle, collecting at least $8 million this season. Don’t feel too sorry for the Jets. In their 3-4, they still have Leonard Williams and Muhammed Wilkerson. By tanking this season, they’re angling for a top draft pick and now can add another second round pick on the rebuilding pile. Final trade terms for the #Jets and #Seahawks: NYJ gets WR Jermaine Kearse, a 2nd and a 7th. SEA gets Sheldon Richardson & a 7th. Kearse instantly becomes the best receiver on the Jets’ roster. Criminally underrated, Kearse caught 41 passes for 510 yards and a touchdown last season, averaging 12.4 yards per catch. He could be a possible 1,000 yard candidate in New York if the Jets have anyone that can throw him the ball. Seattle signed Kearse as an undrafted free agent out of the University of Washington back in 2012. He’s been a starter for the last three seasons. That wasn’t the only move Seattle made Friday. The Seahawks shipped reserve cornerback Tramaine Brock to the Minnesota Vikings in exchange for a seventh round pick. It was a robbery for Seattle who just signed Brock two weeks ago as a free agent on a one year contract. More Sheldon Richardson to me: "I can't wait to contribute on a defense w/guys like that." Richardson told me he's flying to #SEA tonight. Brock had spent the last seven seasons with the San Francisco 49ers and started for the last two. In 2016, he had 58 tackles, one forced fumble, 14 passes defended and one interception. The New Orleans Saints will be a wide receiver short for most of the first month of the season as Willie Snead has been suspended by the NFL for three games for violating the league’s policy on substance abuse after a DUI arrest. The original suspension was four games, but Snead got it reduced on appeal. Decided to bring my 6-year old into fantasy this year. Now because we drafted Willie Snead he gets to learn about DUIs, too. Snead was to be part of a three-headed beast for quarterback Drew Brees to unleash on opposing defenses this season with second year wide receiver Michael Thomas and free agent aquisition Ted Ginn Jr. Instead, he’ll be replaced early on by Brandon Coleman, a fellow undrafted free agents the Saints have worked into the offense since 2015. Last season Coleman caught 26 passes for 281 yards and three touchdowns. Snead had 72 catches for 895 yards and four touchdowns last season. The inevitable finally happened. Unable to find a trade partner willing to take on any part of quarterback Brock Osweiler’s salary, the Cleveland Browns have cut the former Denver Broncos and Houston Texans starter. Osweiler will still pocket $16 million in guaranteed cash from the Browns. Cleveland acquired Osweiler and the Texans’ 2018 second round pick in a trade. The Browns will now role with DeShone Kizer, Cody Kessler and Kevin Hogan if they keep three quarterbacks. I think they will. Last season Osweiler went 8-6 as a starter for Houston, completing 59 percent of his passes for 2,957 yards, 15 touchdowns and 16 interceptions. As a free agent, he’ll likely find a home pretty quick once he passes waivers and is willing to sign for a significantly lower salary. Frankly, with $16 million in his pocket, he shouldn’t have to worry about the money at all. By never playing a game, Brock Osweiler goes down as the greatest Browns quarterback in modern history. Who do I think will look hard at a much cheaper Osweiler? The New York Jets come to mind. The Baltimore Ravens should still sign Colin Kaepernick over him, but my guess is they’ll kick Brock’s tires as well. The Indianapolis Colts and their dumpster fire back up quarterback situation could use a dose of Osweiler. The best thing for him could be to try to get on with Kyle Shanahan and the San Francisco 49ers to back up Bryan Hoyer and learn the offense from the ground up. The Chicago Bears cut wide receiver Victor Cruz Friday. Last season Cruz started 12 games for the New York Giants and played in 15, catching 39 passes for 586 yards and a touchdown. I don’t think his career has to be over at this point, but he’ll probably be sitting through the first month of the season while teams figure out their depth charts. Cruz’s best season was in 2011 when he caught 82 passes for 1,536 yards and nine touchdowns. Pittsburgh Steelers wide receiver Martavis Bryant has been cleared by the NFL to resume his official playing career and been fully reinstated. Bryant was suspended all of last season for violating the league’s substance abuse policy. In 2015 he caught 50 passes for 765 yards and six touchdowns. He had 26 catches for 549 yards and eight scores as a rookie fourth round pick out of Clemson in 2014. Chris Johnson was released by the Arizona Cardinals Friday after short work in the preseason. The move likely ends Johnson’s career in the NFL barring any crazy injuries and depth chart issues this season. CJ2K was replaced by David Johnson fully last season and was beaten out by Kerwynn Williams and Andre Ellington in the preseason. If this is it for Johnson, he’ll hang up his cleats just 63 yards shy of 10,000 yards in his career. Like Cruz, his options won’t show up until October most likely. The Denver Broncos traded former second round pick Ty Sambrailo, a reserve offensive tackle, to the Atlanta Falcons in exchange for a 2018 fifth round pick, effectively cutting bait with their 2015 draft pick. Sambrailo has started just seven games over the last two seasons since the Broncos drafted him out of Colorado State. 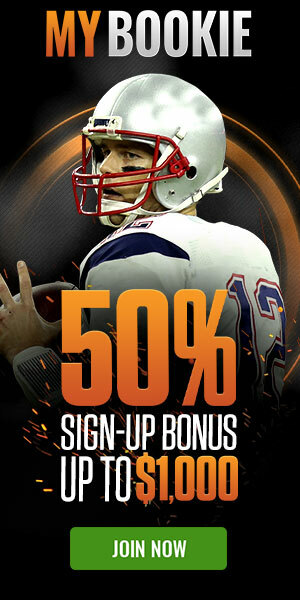 To make a wager on any sport, go to the world famous Diamond Sportsbook by clicking here.